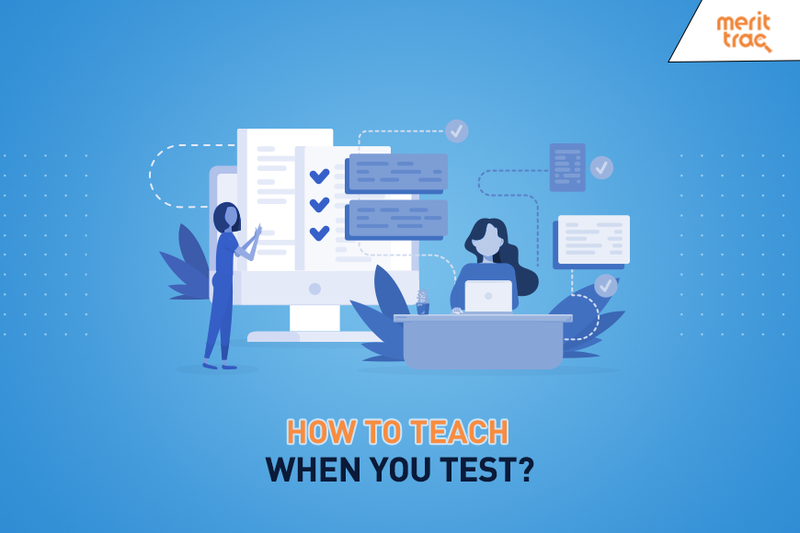 How to Teach When You Test? Lately, Indian corporate companies have been quite vocal about the employability gap they are facing while recruiting freshers from universities and colleges across the nation. Apart from reputed institutes like IITs and NITs, all the other institutes are failing to match the expectations set by the corporate industry. Factors like curriculum mismatch, teaching only to pass tests, little emphasis on soft skills and limited industry exposure are rendering talented students unfit for a sound start to their professional career. For educational institutes it may pose as a threat or an opportunity. Data from NASSCOM reveals that over 3 million graduates and post graduates are added to the Indian workforce each year, out of which only 25% of technical and 10-20% of non-technical graduates are considered ‘employable’ by the IT and ITES segments in the country. Steps are taken by both corporate and academia to address the situation. Where the corporates have been looking for a solution to source job-ready candidates, colleges are also realigning their focus to improve student’s employability quotient. Employability parameters that need attention for freshers to become job-fit are related to both technical knowledge and soft skills. Communication skills, personality development and problem solving abilities are top skills that hiring experts look out for in students. Frequent and continuous upgradation of technical curriculum as well as integration of future technologies can help education institutes meet industry skill requirements. How to train students to be job ready? Continuous monitoring of a student through-out his higher education is a vital element in training students to be job-ready. Following a cycle of assessment – diagnosis – intervention performed year after year in graduation to identify a student’s skill gaps and reinforce them with the right learning programs will ensure industry-ready talent at course completion. Many institutes are collaborating with the industry experts to understand skill gaps and help students fill them. For example, English language has been identified as a key requirement by corporates for employability. Proficiency in interactive English and communication is a skill set many education institutes plan to focus on and hence need a training and assessment plan to fulfil this need. Technology driven assessment tools are playing a crucial role in helping academia perform employability assessment of students on a mass scale yet at a personalized level. These tools have essentially emerged out of the current market’s need. These tools regularly test and diagnose students on various parameters valued by industry hiring experts. The feedback from an assessment is used as an input for designing training interventions. The continuous assessment, feedback and training helps in improvement and readiness for workplace. A highly versatile tool to access candidates on parameters like Cognitive Abilities, Communication Skills, Interest and Personality can be a game changer for the education industry. Recruiters don’t have to depend on assessment parameters that are short term. Creating performance report of students for their entire curriculum will equip recruiters to evaluate talent on multiple parameters observed from a long-term perspective. Acetrac from MeritTrac is a robust tool that offers above mentioned features and is employed by both educational institutes and corporates to enhance student employability quotient. It takes the game to the next level by assessing interest and personality which is important for 'Person-Job' fitment. AceTrac’s proven and effective solutions tackle comprehensive employability skill assessment needs in a holistic manner.